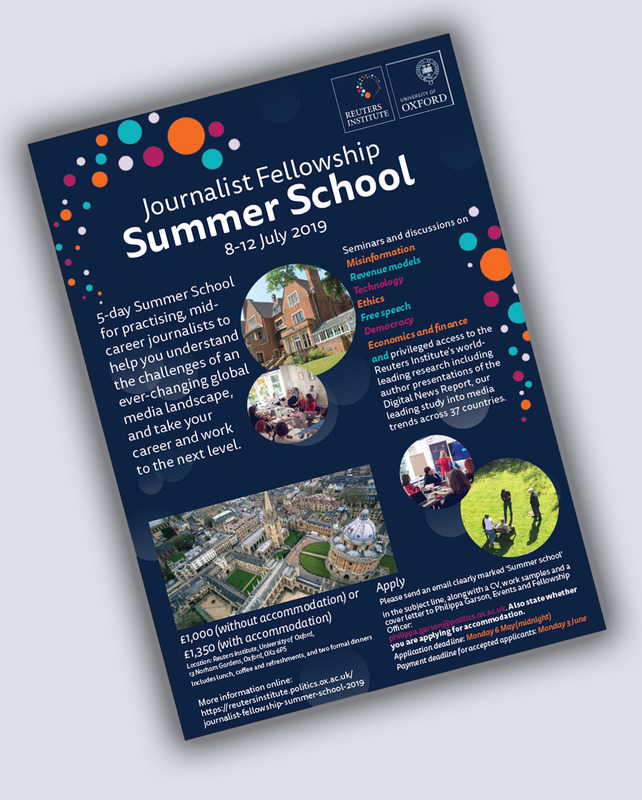 The Reuters Institute for the Study of Journalism, a world-leading institute on global media based at the University of Oxford, offers a five-day summer school aimed at practising journalists worldwide. 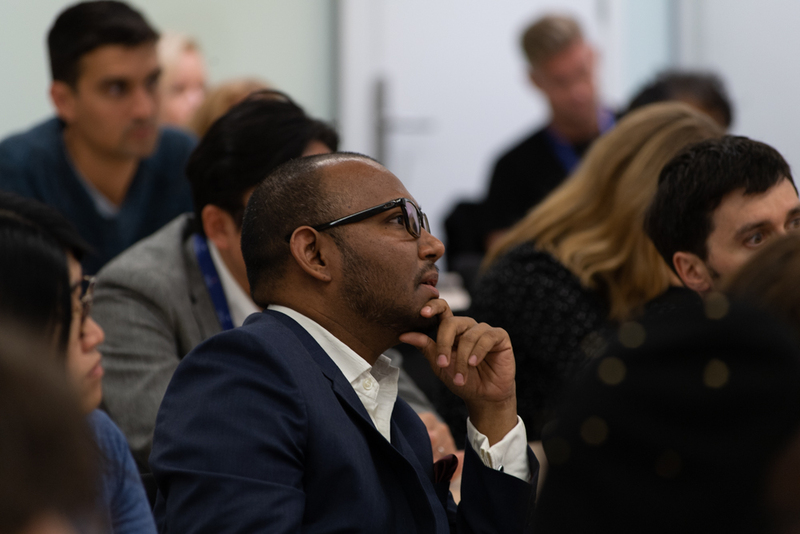 The next summer school will be held 8-12 July, 2019. 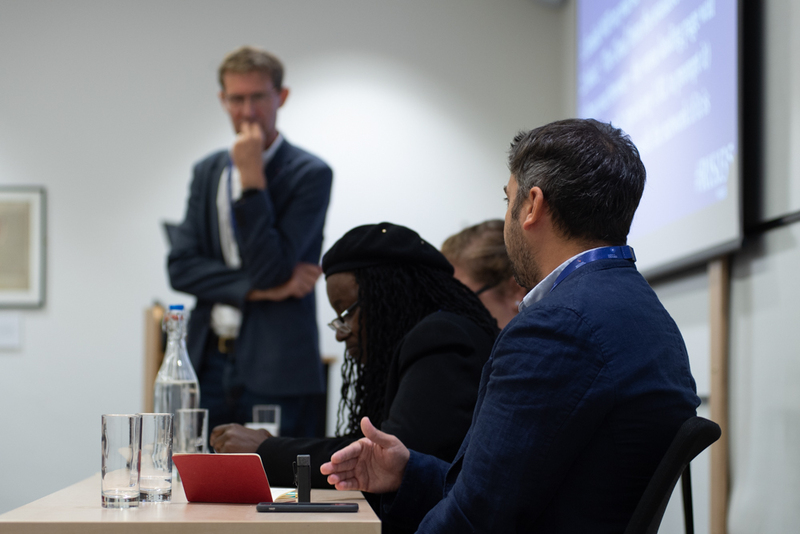 The programme is designed to help journalists better understand the challenges they face in an ever-changing media landscape, and to help them take their career and their work to the next level. 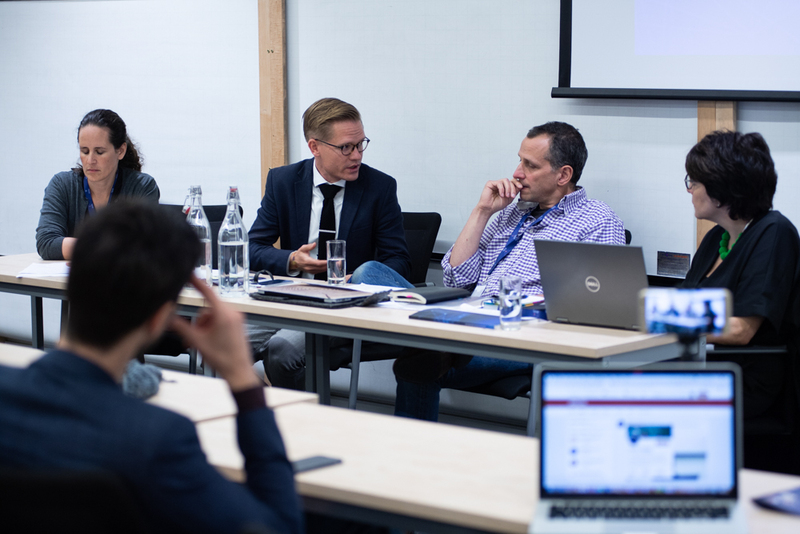 Journalists on the summer school programme will attend seminars on misinformation, revenue models and new technology, as well as discussions about ethics, free speech, democracy and economics and finance. 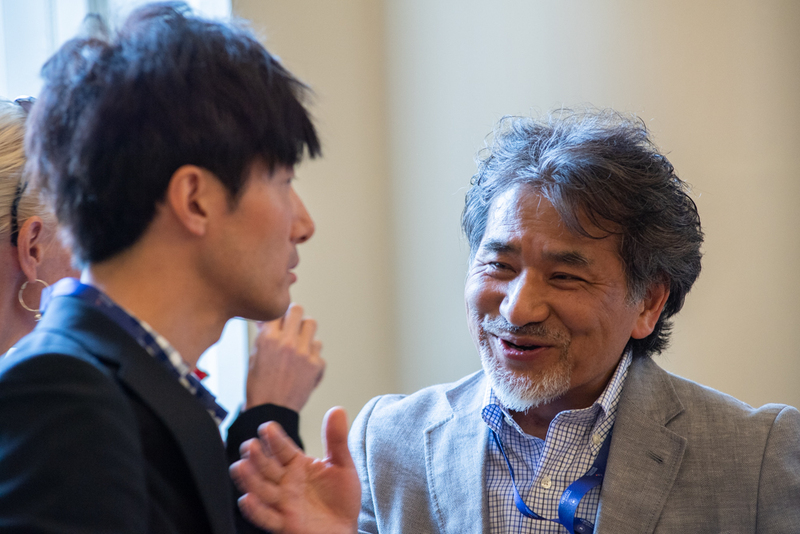 They will also have the opportunity to examine the Institute's landmark Digital News Report, which studies patterns of news consumption in 37 countries. Lunch and refreshments are provided to all participants throughout the course. Some evening dinners are also included. Travel expenses are not included. Organisations and foundations are welcome to sponsor individuals who they feel will benefit from this programme. Places are limited. To apply, please send an email clearly marked 'summer school' in the subject line, along with a CV, work samples and a cover letter to Philippa Garson, Events and Fellowship Officer: philippa.garson@politics.ox.ac.uk. Please also state clearly whether you are applying for a place with or without accommodation. Application deadline: Monday 6 May (midnight).